RealAutoTips. - Maybe you will not foreign again with the terms of Power Steering. It is because that this term used in car or automotive field. But do you know how many kinds of Power Steering design for user this time? According Otomotifnet.com site reported that By design, divided 2 power steering, hydraulic and electric models. Average vehicle's latest upward since 2004, has been using EPS (Electric Power Steering). Indeed, the cost of production is more expensive but there is a positive side. Maintenance-free and also make fuel consumption more efficient because it does not overload the machine work. In fact, many manufacturers claim to be more efficient about 1.6 miles per 1 gallon of fuel. However, it must be remembered that the two characters are different. The illustrations when driving a vehicle air-hydraulic power steering, while diverting wheel in either direction to get stuck, then when reversing the steering will feel a bit heavy for a while. While on the right, the oil will be returned to the reservoir through a worm steer tube. So on the way to work the hydraulic power steering. 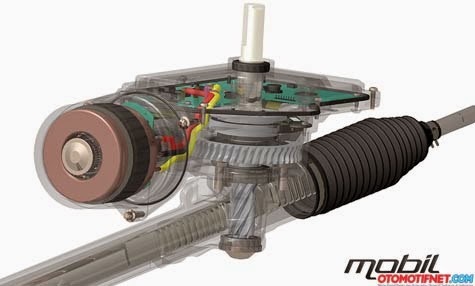 And now, we think you have understand with the term and kinds design of Power Steering that develop. So, you can choose this design.